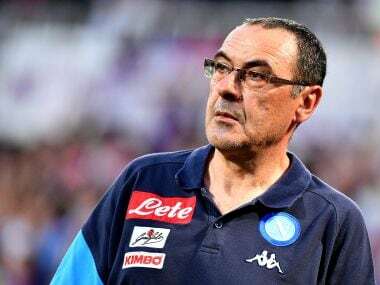 Milan: Maurizio Sarri's departure as Napoli coach was confirmed Wednesday by club president Aurelio De Laurentiis hours after Carlo Ancelotti agreed to take over. 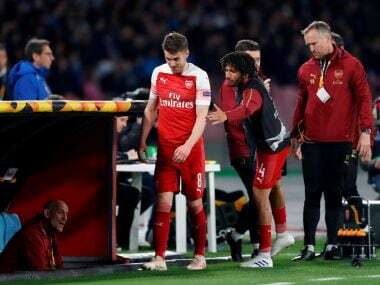 "I'd like to thank Maurizio Sarri for his valuable contribution to the Napoli cause," De Laurentiis said in a brief Twitter message. "He brought joy and prestige to Naples and Napoli fans all over the world with an entertaining brand of football that drew praise from all quarters. Well done, Maurizio -- Aurelio De Laurentiis." 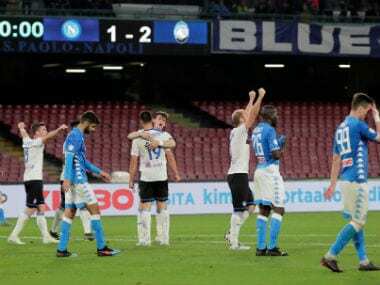 Sarri guided Napoli to second place in Serie A for the second time since taking over, and this season they achieved a club record 91 points in a season. The 59-year-old joined Napoli three years ago and had been under contract until 2020. Sarri, a former banker, has been linked with a move to both Chelsea and Zenit Saint Petersburg. The Russian club have been without a coach since Roberto Mancini returned to take over the Italian national team. 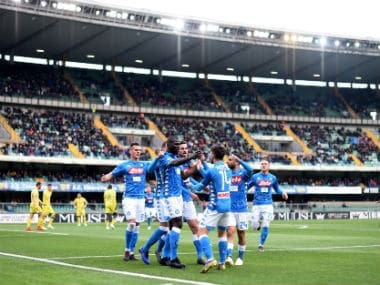 According to Sky Sports Italia, Zenit have invited the Napoli coach to Russia to see Saint Petersburg and their training facilities. 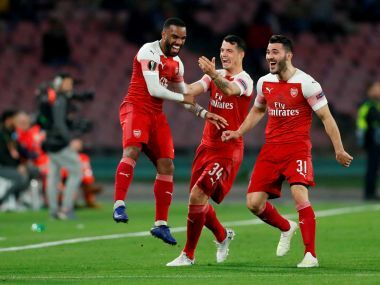 The Russian club are willing to pay his eight-million-euro ($9.4 million) release clause and would offer him a contract worth six million euros per season plus bonuses. Former Chelsea and Real Madrid boss Ancelotti, who was sacked by Bayern Munich last September, is said to have agreed a two-year contract with an option for a third.